Just wanted to give you another update on Poppy (previously known as Charmaine). 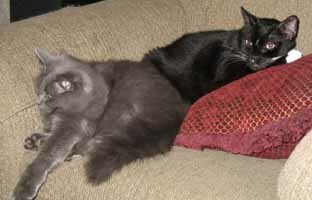 She has made herself completely at home � and I think Gordon secretly even enjoys her company (see photo attached). She is a gentle and friendly cat and we are thrilled that she is part of our family!